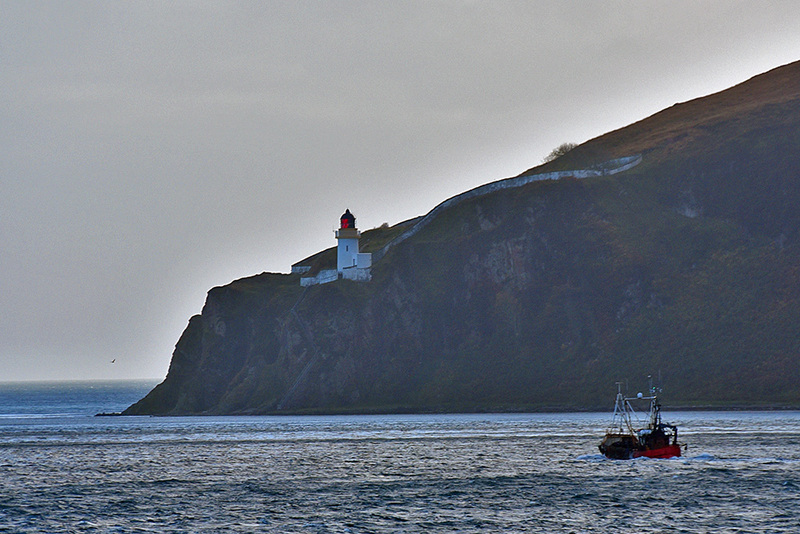 Seen from the ferry travelling up the Sound of Islay to Port Askaig, a fishing boat travelling south past McArthur’s Head lighthouse on a November afternoon. This entry was posted in Cloudy Weather, Landscape, Lighthouses, New Post and tagged ferry, Fishing Boat, Islay, McArthurs Head, Sound of Islay by Armin Grewe. Bookmark the permalink.